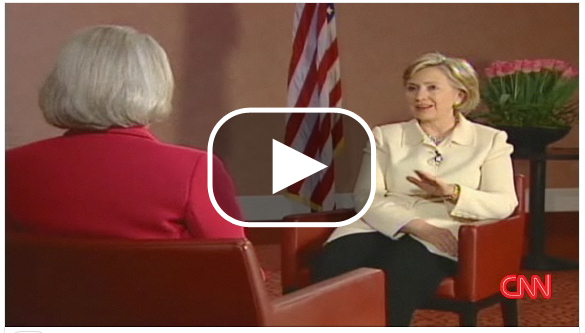 Secretary of State Hillary Clinton talks with CNN's Jill Dougherty about U.S.-Iranian relations and al Qaeda. Is there a better person than Paul Begala? Not on this planet. Beneath his proud partisan heart and chess-engine brain, there is an unfailingly generous, unswervingly decent human being, whom I am fortunate to call my friend. And he's from Texas, just like George Bush. What's not to like? That makes it all the more remarkable that Paul is consistently wrong about almost everything political and in desperate need of a reality check. Paul calls my commentary about the first glimpse of a Barack Obama who could be a one-term president "more full of beans than a burrito at Matt's El Rancho" in Austin, Texas. Paul, I love burritos, so let's bite into this one, beans and all. This Republican finds it tasty. Tonight on AC360°, Pres. Obama and the First Lady hit the world stage. They're in London ahead of Thursday's G-20 Summit, where the focus will the on the global economic mess. But, tomorrow the first couple will have an audience with the Queen. What do you think will come out of their first W.H. trip to Europe? 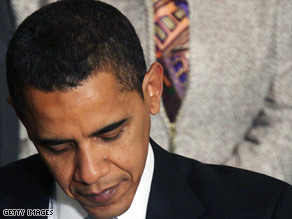 A poll indicates eight in 10 Americans think President Obama will represent the United States well to the world. Pres. 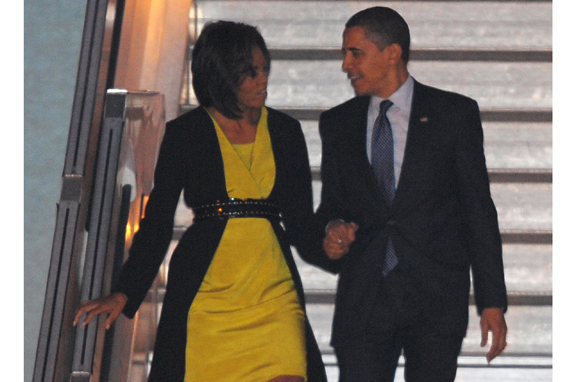 Obama and the First lady arrived in London just hours ago. Tomorrow, they meet with some big names, including an audience with Queen Elizabeth. Then, on Thursday, Mr. Obama attends the G-20 Summit. His goal: gain global support for his plan to fix the economy. CNN/Opinon Research polling shows 72-percent surveyed believe that leaders of other countries respect Pres. Obama, compared to 49-percent for President Bush at the start of his presidency. Will anything actually concrete come out this week's summit? 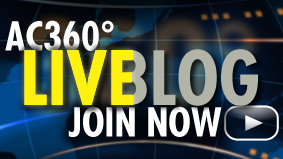 We'll talk it over with CNN's Sr. White House correspondent Ed Henry, Chief Business Correspondent Ali Velshi and Sr. Political Analyst David Gergen. Do you think the Pres. Obama & the First Lady will do a good job representing the U.S.? Share your thoughts below. As for the Obamas' visit with the Queen, we bet they've brushed up on royal etiquette. We'll have a refresher course for them tonight. You may be surprised at what is expected when you visit Buckingham Palace. We'll also have the latest outrage over Madonna's effort to adopt a child from Malawi. Join us for all that and more starting at 10pm ET. Last Thursday night, Dr. Bruce Pitts, an executive vice president at MeritCare Hospital in Fargo, ND, faced an excruciating decision. His two-campus hospital, the largest in the state, had whittled its patient population down through discharges and transfers as the Red River rose, but 180 patients remained. They included fragile babies in the neonatal ICU, complicated long term acute care adult patients, and high risk obstetrics patients. Moving them would be risky and difficult. But just hours earlier, the predicted height of the river’s crest had jumped, and Pitts received word that a nearby dyke looked vulnerable. The Department of Homeland Security was encouraging local officials to consider a city-wide evacuation. Once the sun rose on Friday, the roads would likely be clogged with volunteer sandbaggers and residents fleeing town, including those from local nursing homes. If the State mandated an evacuation of all healthcare facilities, Pitts’ hospital, whose service area is roughly the size of the state of New York, would be competing for available ambulances and busses. 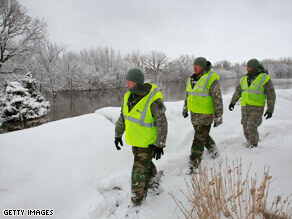 North Dakota National Guard members inspect a levee Monday along the Red River near Fargo. Just as the flooding threat decreased in parts of North Dakota, a major snowstorm continued to smack the area Tuesday, forecasters said. 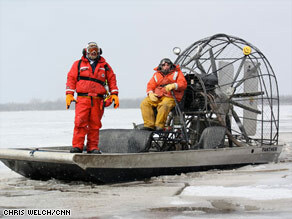 Residents in and around Fargo, North Dakota, breathed a sigh of relief Monday as waters of the Red River had receded. But the snowstorm could dump as much as 16 inches of snow near the Red River Valley, which could add to the level of the river. The river, which at one point was at a historic level of nearly 41 feet, had fallen below 39 feet Monday. By 7 a.m. CT (8 a.m. ET), the river was forecasted at about 38 feet and was expected drop to the 18-foot flood level by early next week. But wait!… There’s more! When you win ‘Beat 360°’ not only do you get on-air prime-time name recognition (complete with bragging rights over all your friends, family, and jealous competitors), but you get a “I Won the Beat 360° Challenge” T-shirt! It’s hard to know whether Brandon Craig is guilty or not. There isn’t much to prove it either way. On the prosecution side of things, there are three alleged eyewitnesses who have spent the last decade lying to police. Now they say they saw Brandon Craig shoot and kill those three kids all those years ago. they say now that they are telling the truth; but they have every reason to lie. Program Note: For more on the Catepillar controversy, tune in to AC360° at 10 p.m. ET. Hundreds of French workers, angry about proposed layoffs at a Caterpillar factory, were holding executives of the company hostage Tuesday, a spokesman for the workers said. It is at least the third time this month that French workers threatened with cutbacks have blockaded managers in their offices to demand negotiations. Executives were released unharmed in both previous situations. The latest incident started Tuesday morning at the office of the construction equipment company in the southeastern city of Grenoble. 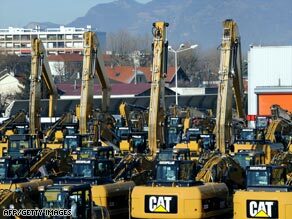 The workers were angry that Caterpillar had proposed cutting more than 700 jobs and would not negotiate, said Nicolas Benoit, a spokesman for the workers' union. 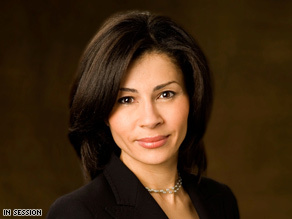 They did not want to harm the Caterpillar executives, Benoit told CNN.